18 January 2007 Don’t Worry. Much. 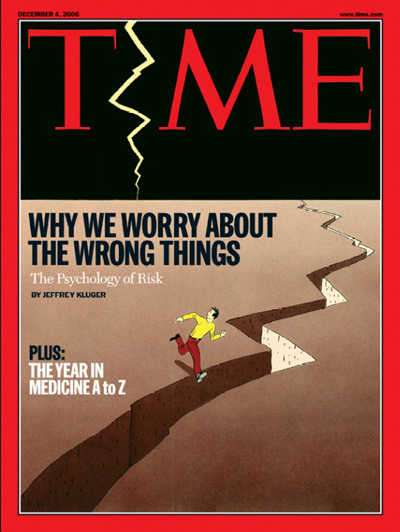 I haven’t read the article “Why we worry about the wrong things,” but I know for a fact that I not only worry about the wrong things but also fail to worry about the right things. 2) Someone should actually read the article and tell me about it, since I no longer have time for non-assigned reading. 3) The fact that I am publishing this inchoate conglomeration of words probably reflects a deep worry that people will stop checking my blog if I don’t post something. I had to laugh. Not to make fun of you, but because I love you so much and I identify with the frame of mind. I love you I&I and unconditionally. I can only do so because others have done the same for me. Thanks for the opportunity to tell you this.